For the past few weeks, every Thursday, a farmers’ market have been setup in the plaza center right next to my office. I did not honestly expect much but was pleasantly surprised. A couple of vendors are selling fresh eggs, there several with good summer vegetables, a very good bread stand, several prepared food and “treats’ vendors. We also got artisan sausages, bacon and all kinds of goat milk products, like an excellent fresh cheese. 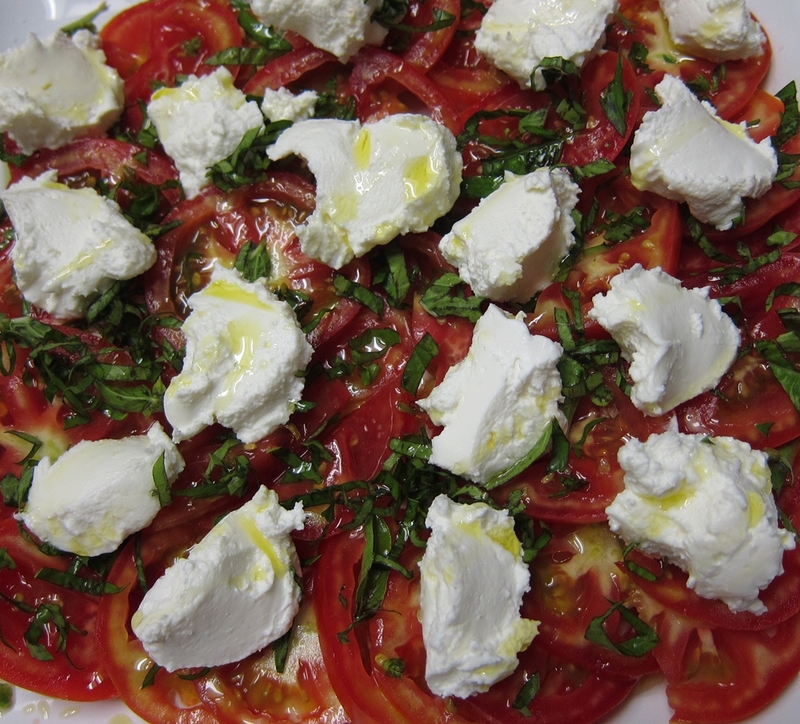 This here is a fresh tomato salad, topped with tangy goat cheese (from Swede Farm). We ate that for dinner with crusty baguettes. 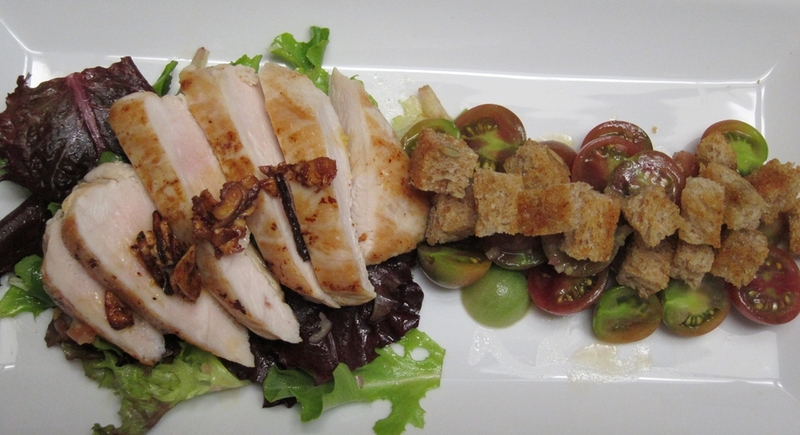 The following week we had a chicken salad with tomato vinaigrette, salad greens, whole grain bread croutons and sweet small tomatoes that according to the vendor are called Chocolate Cherry Tomatoes.